From Wikipedia, the free encyclopedia. Margaret Brooke Sullavan (May 16, 1909 – January 1, 1960; studio publicity incorrectly reported her year of birth as 1911) was an American stage and film actress. Sullavan started her career on the stage in 1929. In 1933 she caught the attention of movie director John M. Stahl and had her debut on the screen that same year in Only Yesterday. 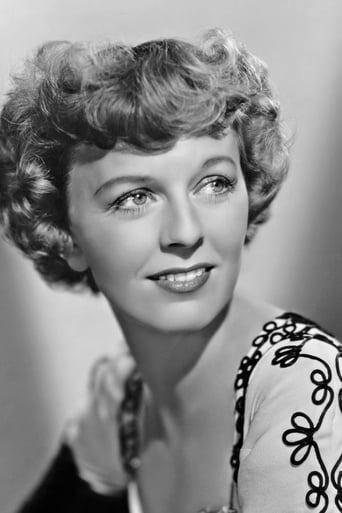 Margaret Sullavan preferred working on the stage and did only 16 movies. She retired from the screen in the early forties, but returned in 1950 to make her last movie, No Sad Songs For Me (1950), in which she plays a woman who is dying of cancer. For the rest of her career she would only appear on the stage. Sullavan was nominated for an Academy Award for Best Actress for her performance in Three Comrades (1938). She died of an overdose of barbiturates on January 1, New Year's Day, 1960, at the age of 50. Description above from the Wikipedia article Margaret Sullavan, licensed under CC-BY-SA, full list of contributors on Wikipedia.